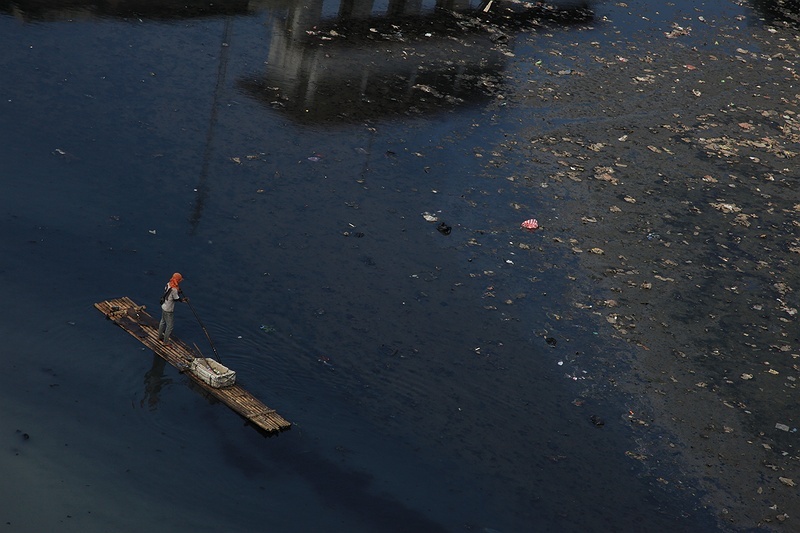 A man collects valuable garbage from one of Jakarta's rancid canals. Designed to cope with floods, Dutch colonists built an intricate web of canals that should divert excess water towards the sea. Poor maintenance and increasing rubbish leave these important water ways blocked.